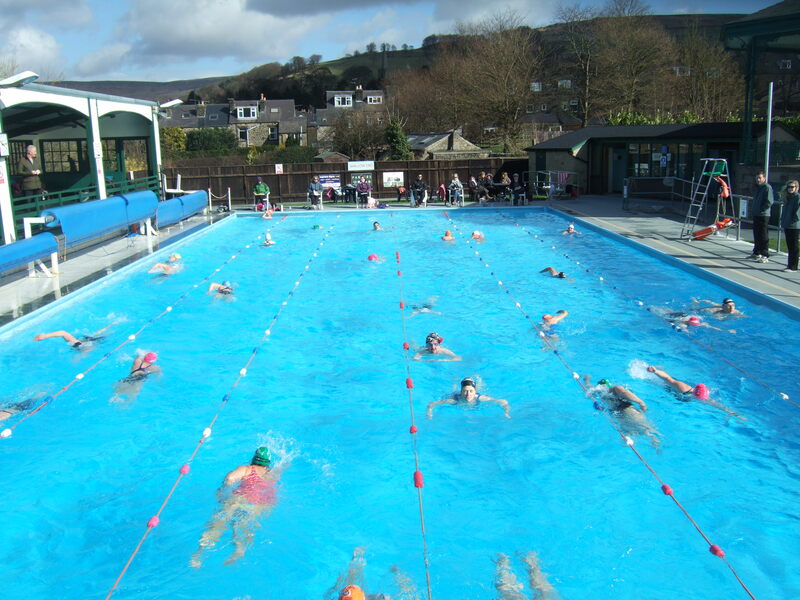 The 19th March had this year’s season off to a splashing start with so many regulars returning to enjoy their first dip of the 2016 season. Unfortunately, April brought cold weather and water that was about as inviting as cold tea. 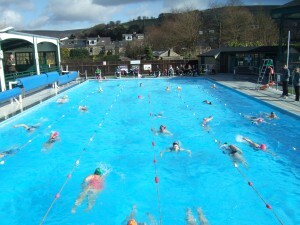 But, the lifeguards here at Hathersage like to think the pool is always half full and were rewarded with some lovely sunny days throughout May. Amazingly we are now 14 weeks into the season and so much has already happened. 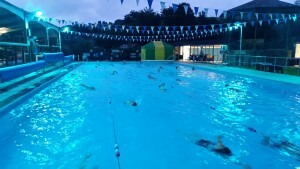 Folks have travelled for miles to enjoy three of our unique night swims, swimming to live music from a range of local bands. With the season flying its unbelievable that last weekend (18th – 19th June) we had our annual 24 hour solstice swim which helps raise money for the King George`s Field Charitable Trust. Staff and swimmers arrived at 3:30 am preparing themselves for a jam packed 24 hour. We had over 10 teams as well as a few individuals competing in our tough challenge of 24 miles in 24 hours. All competitors gave it there all with one team from Doncaster Tri Club swimming an incredible 60 miles (a new record by the way) between them. Overall, all are swimmers through out the day managed to swim and amazing 405 miles combined, which is the equivalent of swimming from Hathersage to Land Ends. There was also our fourth night swim during the evening, sold out as fast as our cakes do. Followed by the novel 21:00-23:00pm later swim that’s always popular, what ‘s more magical than swimming in the warm, illuminated, turquoise waters as the clock strikes 12. 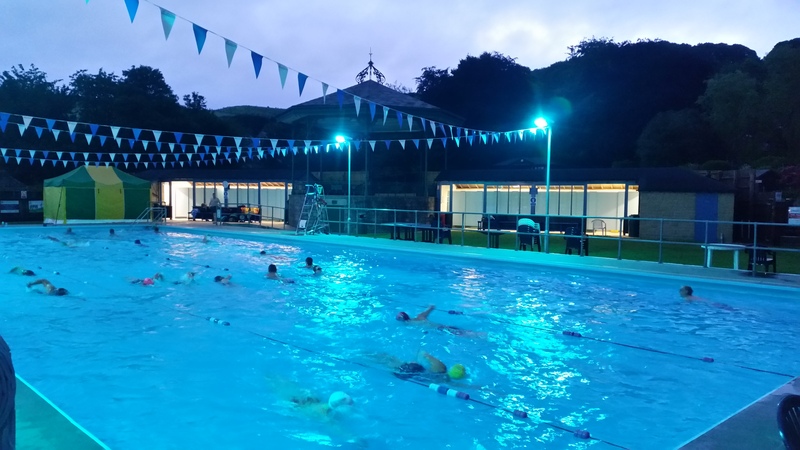 And that’s just the start of the season, there plenty more still left to come, with four more night swim to live music, Macmillan coffee morning, our 80th Anniversary with live music in the afternoon, Halloween Swim, as well as the very popular unheated water swimming season. For full details about all future events please see the events page on our website or contact the pool office (01433 650843, info@hathersageswimmingpool.co.uk).